This article is 3243 days old. 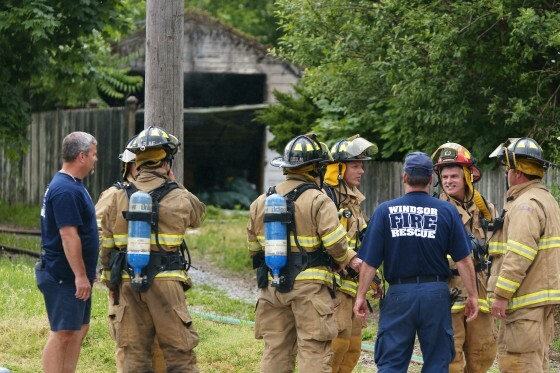 Firefighters regroup after extinguishing a fire in the 700 Block of Indian Rd. Windsor firefighters responded to a call for smoke billowing out of a garage in the 700 block of Indian Road, Wednesday afternoon. The house, part of a series of boarded up, abandoned homes in West Windsor, owned by the Ambassador Bridge, caught fire around 4:35pm. 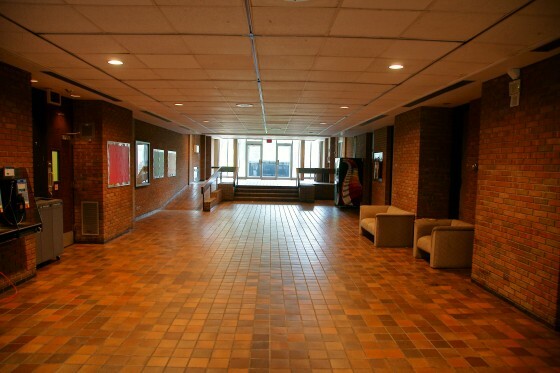 A few blocks away at the University of Windsor, firefighters were packing up after putting out a couch fire inside Vanier Hall. University Facilities Services’ employee David Montgomery, who works in the building, described seeing two teenagers — a male and a female both with long blonde hair — running from the scene shortly after fire was discovered in the building. It is unknown at this time if both incidents are related.